We had a chance to visit with Dream Tuner and ask them about their startup being accelerated at Manos Accelerator in San Jose. Are you a closet musician waiting to be discovered? Is this your first start-up venture? You could say that it is at this scale. I had a couple of businesses in college and during my MBA that would generate extra income such as getting web designers in South America to develop pages for US companies at a lower rate (2006-2010). What inspired you to do your start-up? I can say that music plays an essential role in my life, I still remember listening to The Beatles White Album and Let It Be with my mom and brother in our house when I was 7 years old, while She and my dad were getting divorced. Music became an outlet for my brother and I. He picked up the drums and I the bass guitar and for many years I guess that kept us sane from all the craziness that was going on. Later on we had to go to college, get jobs and basically grow up, and left behind the instruments but we never left the music. The Aha moment came when I was visiting my family and my kid brother (ten years younger than me, from my mother's second marriage) asked me to give him a ride to the local college station so that he could drop off a demo of his band to a DJ. That is when I realized that so much had changed thanks to technology and the internet but musicians were still dropping off their demos as had been done by young musicians since the early 60's and 70's. I knew that I had grown up and had given up on the dream, but why should so many others follow that same path. How do you see your star-up disrupting the space it’s in? Dream Tuner wants to empower the unsigned musician. We want to help them achieve their dreams while making it easier for their music to be discovered. At the same time we want to target listeners that label themselves as trendsetters, evangelists mavens. That one friend you have that is always promoting new music. We feel that both of these, the artists and these types of listeners are under served. We want music to be for the people and by the people. What type of impact do you envision your start-up having in the market? We want to be the place to go for unsigned musicians to catapult to the next level. In baseball terms, we want to be the farm to help them make the leap to the big leagues. What product hunt is to app discovery we want to be to music discovery. How did your team come together? Our team is composed of 2 brothers. A drummer and a bass player. I came up with an idea and called my brother in Los Angeles ( I was in Austin TX) to tell him that I had an idea in my head for about a month. it made sense to talk to him since he had studied music production and now worked at a music production company. We took it from there and kept developing the idea to a business plan even after I moved to Miami. After that, it just made sense that I should move to LA where my co-founder is and where so many musicians arrive every day with huge dreams and hopes. How has your star-up journey been so far? It has been quite a ride. From a simple idea in Austin Texas, to winning a pitch contest in Miami, to developing the idea and then being in Silicon Valley. We never thought we would make it to where we are and the journey has always been uphill but exciting. We have learned a lot and have been questioned by many and have even been called naive by others for pursuing this dream, but we carry on. You learn to think fast, adapt, be persistent and know that for every 1 startup that makes it there are thousands that fail, in a way, it resembles musicians, for every one band that makes it there are thousand that see their dreams crushed. 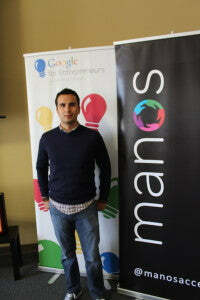 What would you like to achieve during your time with Manos? Learn and keep learning. The ecosystem in Silicon Valley is like no other in the planet. The ideas that are generated here change the world and we want to be a part of it. 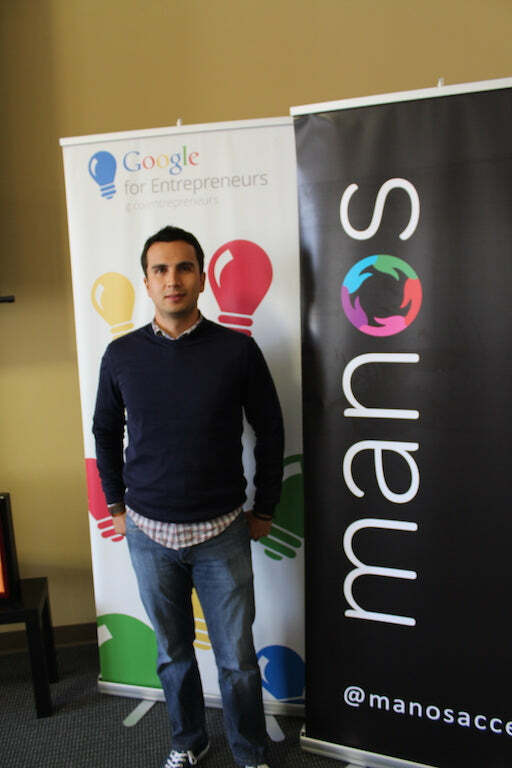 We want to take full advantage of the opportunity Manos has given us to create a great product and at the same time collaborate with other startups. We hope to share our vision at Dream Tuner with the world soon. What type of funding are you looking for? We are currently looking for angel investors to help with seed funding.